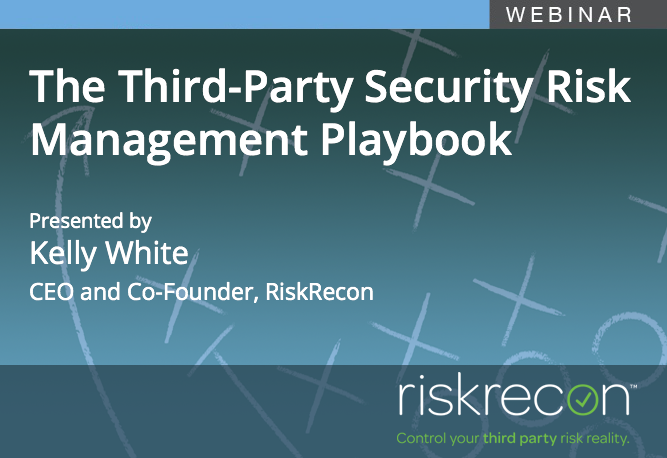 The Playbook is the definitive study of third-party security risk management practices. Based on in-depth interviews of security executives from 30 domestic and global firms, it reveals the real world capabilities and practices employed to manage third-party security risk. In this webinar, learn what real firms are doing to solve third-party security risk. The learnings are embodied in a repeatable framework, distilled into 14 capabilities spanning 72 practices. We'll share the framework with you and highlight the key innovations that are enabling companies to realize better risk outcomes at greater scale. Gain insight into pioneering practices, program benchmarking and operation metrics.